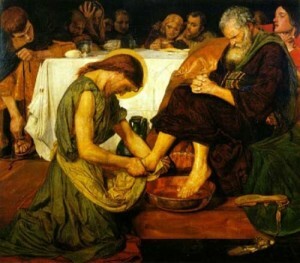 The Struggle to be a Servant | GetAlongWithGod.comGetAlongWithGod | A blog about discovering a God worth knowing. Obviously God’s concept of what it means to be “great” is a bit different from ours. Well, you know that Scripture and I know it too, and though I love it, I find it difficult each time I am asked to live it. It’s especially hard when being “the servant of all” isn’t my own decision but rather something that’s being forced on me by circumstances or, even worse, others’ abuse of authority. Why is being a servant so difficult? It is the basic sin of mankind that we lust to “be like God.” So my very flesh is touched by the request to serve – and it starts fighting for its life. We might have a fully wrong idea about what it means to “be like God” in the first place. In Watchman Nee’s writings (from Secrets to Spiritual Power), I found this remarkable quote: “Under the law, God requires man to work for Him. What, then, is being under grace? 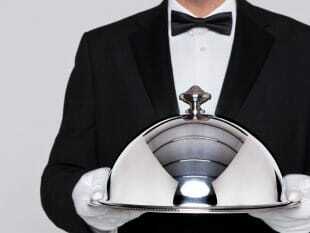 It denotes God working for man.” In the very core of His Character, God Almighty, Creator of the universe, is a SERVANT! And if we want to be like Him, we have to become…yes, servants! So, let’s do it, let’s go for it, let’s serve! Only, there is one little problem left, and Nee brings it to light: “If we work for God, sin will reign over us; but if we let Him work for us, we rest in His victory.” Martha might say here, “This is simple, but not easy.” Ha! God is the only true servant! That brings me back to John’s posts, stating that ALL we do has to come from God, because of both the reality of who we are in our flesh and the reality of Who He is in us if we let Him. Serving has nothing to do with WHAT we do but only WHO will do it: God or me. I can do the dishes and clean toilets to find people’s approval and only exalt myself. I can lead a whole congregation of thousands by receiving His Wisdom only, passing on His Life, and then people will see Him and not me. Our Prayer House is called to be a very still place. And this is our biggest struggle. We all have to learn we cannot do anything for the Lord…and no one will see us. I myself have learned the hard way how easily I can get in His way. I don’t even need to DO much; it is enough for me to lack trust or faith in Him and so block His flow of Grace as I won’t let Him rule. In fact, His offer is so simple: Just acknowledge you have nothing and receive as a child. It is all about just receiving. Is this not worth a try? Gaby, thank you for this treasure trove of truth! Oh how easy and how blessed our lives could become if we could live by these principles!! Thank you for sharing the secrets to the ONLY life that God has called us to and the revelation that anything less than walking in this path is dangerous and detrimental: “If we work for God, sin will reign over us; but if we let Him work for us, we rest in His victory.” Selah!!!!! Thank you, Alex, for that comment, as you got what I intended to say. When I re-read my post, I was not fully happy with that sentence, as I felt I could be misunderstood. You said it better than me: Let’s fall backwards, and we will experience! Him holding and working. I did not mean to say we can choose – or not – without consequences, as Nee states anyway: We will end up in sin; finally if we don’t trust His Word, let’s be clear about that, we declare Him a liar! Thank you so much and may HE BLESS this TRUTH to all of our lives!!!!! Wow… thank you for this restful word that flows so well. Curiously enough, you quote a comment I made, and you know what I forgot to say? That I was not the originator of that vision. It just was a dream He gave me, where I saw His order within the Shulamite Body. I had nothing to do with that vision. He gave it.